Last Friday, I returned to a location that photographically speaking has proven a happy hunting ground. This trip was no different, with mist creeping up the River Boyne and the sun popping through conditions were ideal. The video log can be viewed below. I have been staying a little closer to home in recent weeks, which has taken me to some old and new locations that I haven't been to in years. One such location is a stretch of coastline between Dunany and Togher County Louth, offering wonderful views across Dundalk Bay to the Cooley Peninsula. Check out the YouTube video I made, some images are below. At some stage every photographer experiments with presets and plugins, I am no different, though I have to admit I have something of a love hate relationship with them. Lately I have been experimenting with Lightroom Presets in an effort to speed up my workflow and to give me some ideas on how I could tweak images. I am in the midst of creating my own set of landscape presets which I will share later this year. In order to give a taste of what they will look like I thought I’d share one presets titled " Donegal Summer" which can be downloaded by clicking the link. Below is a before and after example. The after example has also been enhanced further by using the curves tool. 2013 has been somewhat of a strange photographic year for me. As ever not enough time was spent In the Field, too many images were taken with my iPhone and my photographic to do list seems to get bigger instead of smaller. The images below are a selection of my own personal favourites that I captured along the Southwest, West and Northwest coasts of Ireland. 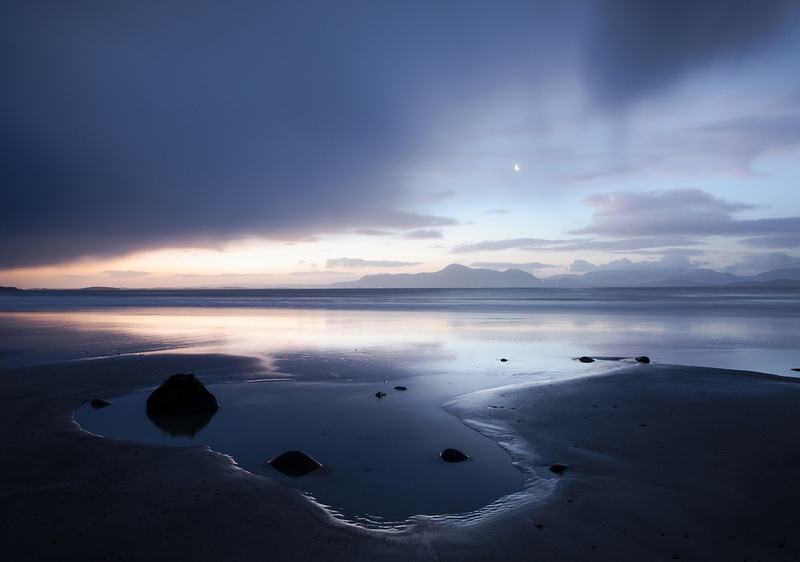 Standing in darkness, storm clouds raced across Clew bay, the heavens opened as the moon hung low in the sky above Croagh Patrick. The conditions where hair tingling wild. The resulting image is one of my all-time favourite seascapes. The second image titled "Freedom", was also taken in County Mayo and features a surfer riding a wave. I love the energy and interaction between man and nature in the image. Situated on the Iveragh Peninsula County Kerry, the beach at Derrynane is amongst the most beautiful beaches in Ireland. During May of this year with low magical morning light raking the coastline I captured an image I was happy to put my name too. As Ireland basked in the warmest summer in years I spent a week in my home from home, County Donegal. Warm days and cool mornings meant morning mist. 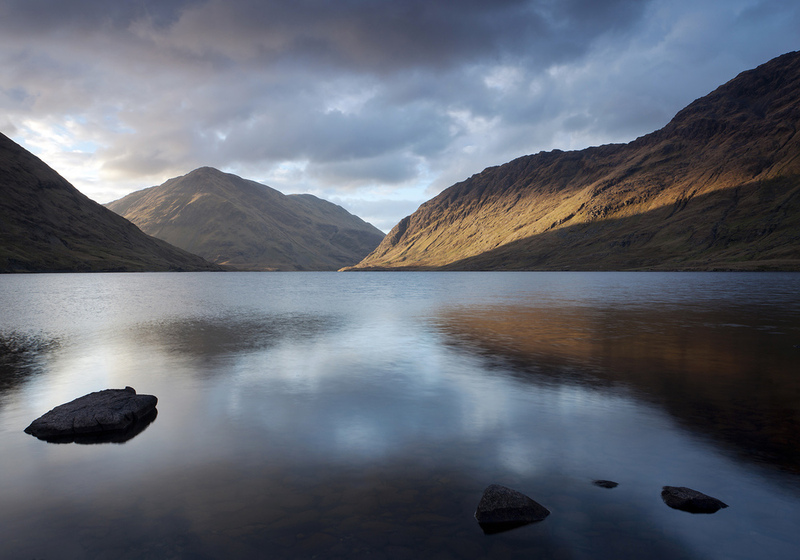 On one such morning I captured this view which looks back across Lough Greenan to Crockmore mountain. 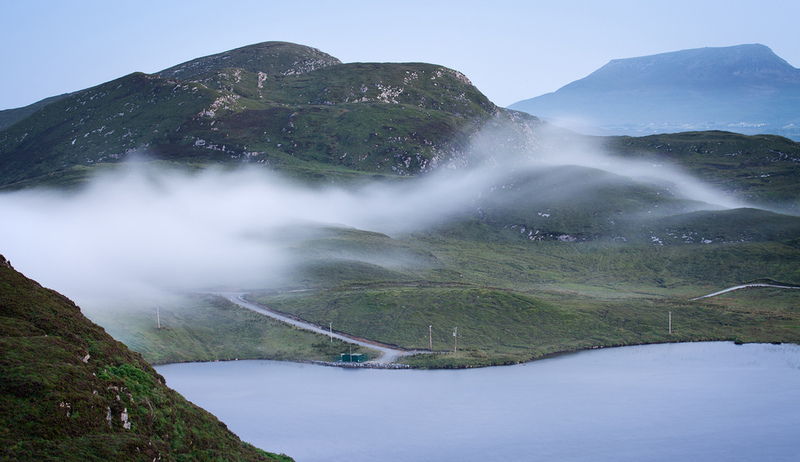 The movement of the morning mist has created a ghostly, yet peaceful Irish landscape. 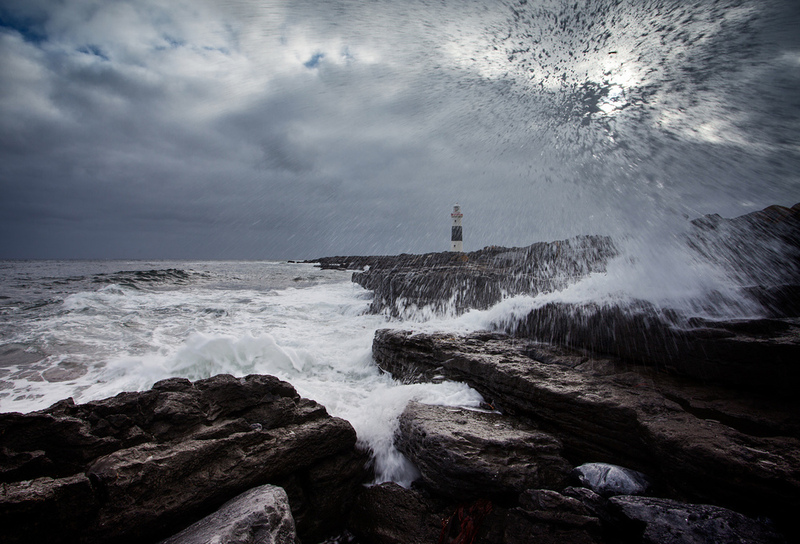 This image was taken on the Island of Inis Óirr, the smallest of the Aran Islands. The location is one I first came across 10 years ago, and it was only this September that I got back to photograph the location. The view looks back towards the still functional lighthouse as wave’s crash on the Islands shoreline. That's it for 2013, time to tackle that to do list. It's not well known, But sometimes I leave the beauty and sanctum of the Irish Landscape and step into the fun and chaos of Irish wedding photography. 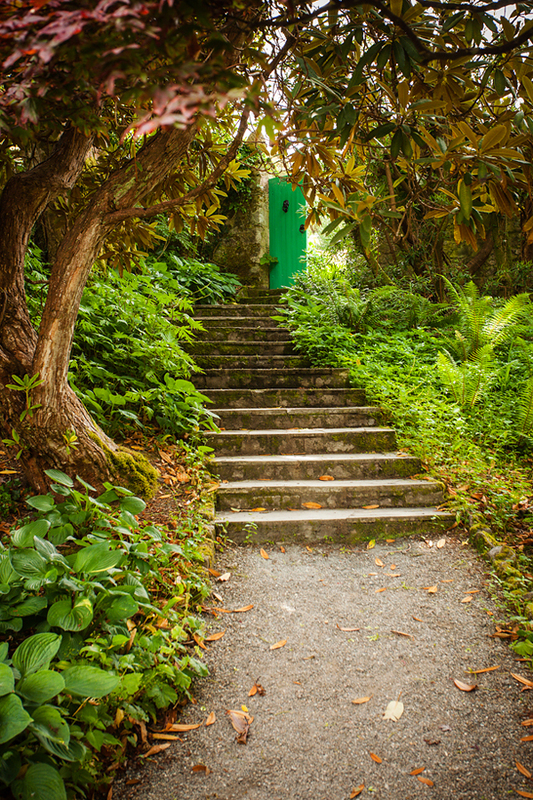 Recently I moved my wedding site to Squarespace the fruits of which can be seen at the following link http://petermccabephotographer.ie/ .